Back on the grind, making a kick on the workload. 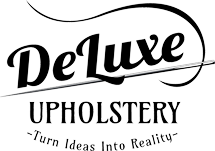 When the team at de luxe upholstery in Sydney put their lights on it’s time for business. Bespoke interior, style, furniture and love, we tackled these 2 old couches and turned them into chesterfield deep button lounges. These lounges are huge, it was a re upholstery job and they didn’t have any buttons when they arrived, the client wanted diamond button tufting and we delivered. New foam on the arms and back to make sure the pleats are nice are deep, classy looking fabric to suit the room perfect, drop us a line and let us know what you think.